A decision has been made by the Sacred Synaxis of the First-Hierarchs of the Orthodox Church, who are currently meeting at the Phanar by invitation of Ecumenical Patriarch Bartholomew, that a Pan-Orthodox Synod will take place in 2016 and not 2015 as the Ecumenical Patriarch initially wanted. The objections mainly came from Moscow who demanded better preparation, a preparatory committee, and a decision by consensus. 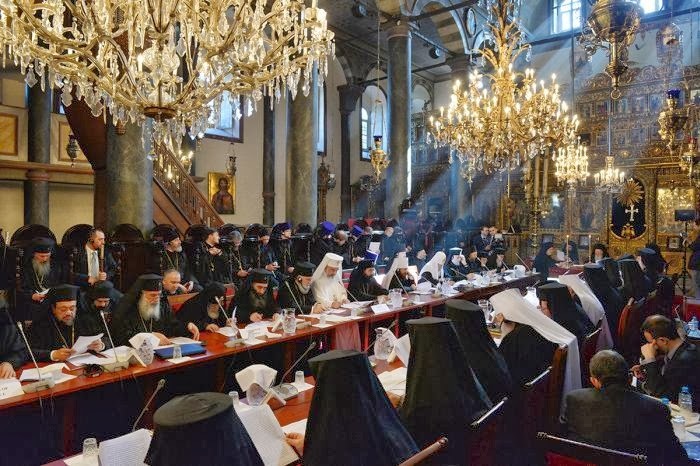 The Great and Holy Synod of the Orthodox Church will therefore take place in two years in Constantinople (Istanbul) in the historic Church of Hagia Irene, and, according to sources, from each Church 20 Hierarchs will participate instead of 13 which was the original plan. They will each have one vote and decisions will be made by a unanimous vote. The Ecumenical Patriarch will preside over this Synod.